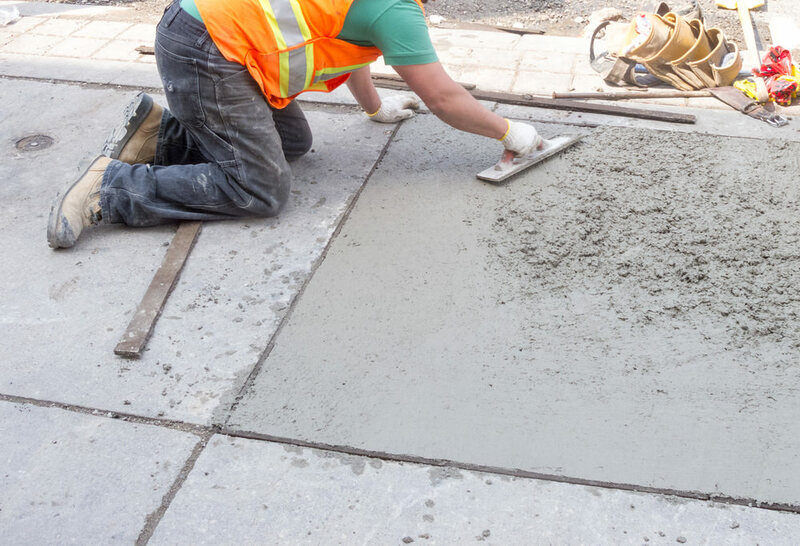 Concrete is one of the most common items you will find in a sidewalk, slab foundation, or even in different areas of the cities. However, one thing that you will see in a lot of these concrete settings, even in the parks is the fact that you are going to have a chance to see the concrete tends to have lines that are cut into it at different spaces. Now, if you are like most of us you just overlook this and shrug your shoulders. However, some people are going to want to know why the concrete does have the lines cut into it and how this is going to make a difference with the concrete and how it actually helps the concrete out. Contraction of the concrete is a major issue and it will cause quite a few cracks in the concrete and at the time it will actually cause the concrete to be ruined. So you will love the fact that the lines are going to be cut in the concrete. These lines are called contraction lines and this is going to help in relieving the stress that is going to cause the cracks that are going to be present in the concrete. You may notice these are going to vary in depth, but the concrete line depth is fairly universal in how deep they are going to be cut. However, it is important that you look at this as it will make a difference in letting you know how the concrete will work and even if the stress from the freezing and moisture inside of the concrete will cause the cement to crack or not. What else you will need to realize is the concrete has a tendency to be fairly uniform in the work they are going to have done. The concrete you will find is going to expand over time as well. While this goes along with the moisture, you will notice the expansion is going to cause cracks in the concrete and if you have been walking down some sidewalks where you see some of the pavement jutting up, it is because it was not cut right. So you will like the fact that you are able to get the cuts down to allow for expansion here and this will make it quite a bit easier for you to get the cutting done on that you need to have done and know it will allow the concrete to expand outward as it needs to, without meeting the resistance that is going to cause the concrete to start to crack and have some major issues. You may notice that you will find that you are going to have some expansion issues at times if the concrete cutting lines were not done properly. Since this is the case, you need to realize the depth of the cut will vary depending on the slab size, but also on how much concrete was used and the weather conditions. All of these are going to be important for you to consider when you are asking why the lines that are cut in the concrete will vary so much. Sometimes you will notice it is going to be very difficult for you to get the concrete working properly because it has been damaged. However, what else you need to realize is when you do have to make some repairs to the concrete it would not make sense to put a patch over the concrete, but it may make sense to replace a section of the concrete. when you have the crack or lines that are already cut in the concrete properly, it allows you to remove the part of the concrete that you do not need to have anymore and replace it without damaging anything surrounding the damaged section. If you do not have the cuts that are already made, then you could have some problems with the concrete being damaged and having to replace an even larger section of the concrete slab. Being able to understand why the lines are cut in the concrete is a good thing. The problem is not many people really understand why the lines are being cut in the concrete and this means they are often left trying to figure out what the problem is with the concrete or thinking that it was a major waste of time to lay all the concrete and then end up making the cuts. By knowing about how important this is, though, it will be very easy for people to see why the lines are cut in the concrete and how this is going to help, but also why so many people contact Megasaw to get the lines cut properly.